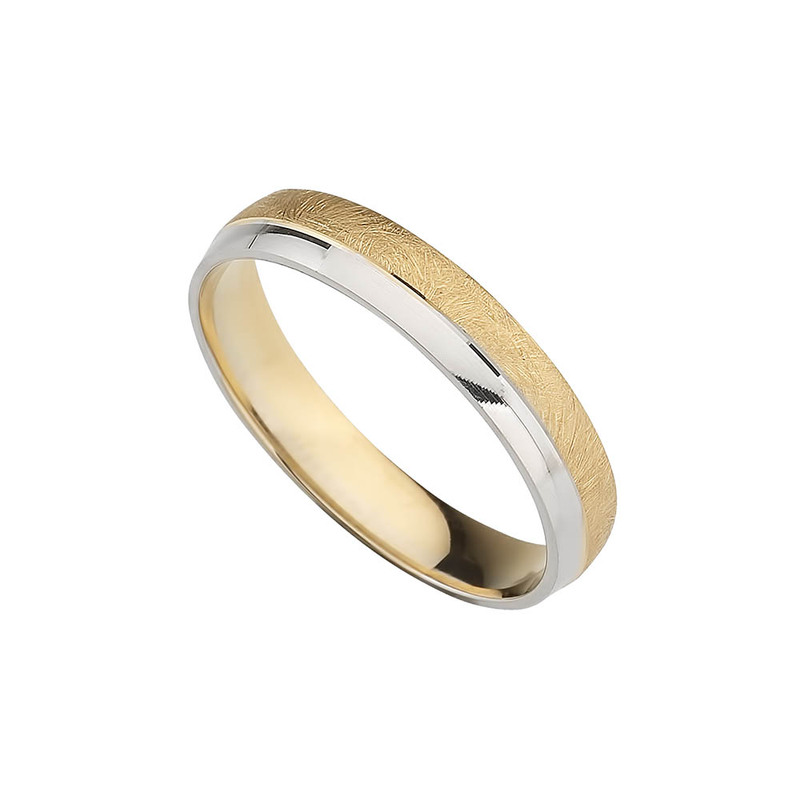 Gold wedding 1st law 18 KTES two-tone yellow and white gold. WIDTH 4 MM HEIGHT 1 MM PRICE FOR NUMBERS FROM THE 12 TO THE 20 STICK TATUM. ENGRAVING INCLUDED. ALL YELLOW OR ALL IN WHITE GOLD CAN BE PRODUCED WITH THE SAME PRICE. DELIVERY IN 15 DAYS MAXIMUM. FOR other numbers refer to.